NZD was empowered yesterday but today it was weakened again. The support rests in 0.70750 with resistance at 0.71230 which both lines are below the weekly pivot point at 0.72030. The EMA of 10 is moving with bearish bias and it is located below the EMA of 100 and the EMA of 200. The RSI is moving horizontally in oversold area, the MACD indicator is in negative territory and the Stochastic is moving in its minimum rate. The ADX is not showing any clear signal. 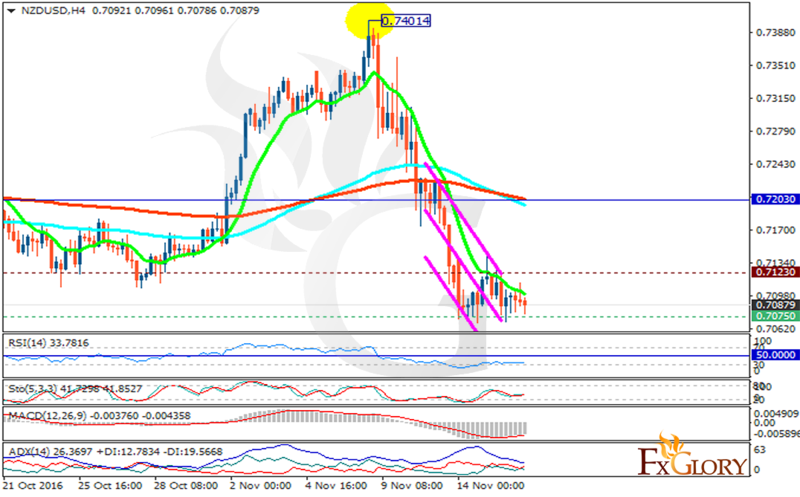 The support level breakthrough will smooth the way for further decline to 0.7070.